Who really attacked the Rohingya Hindus in Myanmar’s Rakhine state? The answer is shrouded in fog of claims and counter-claims. Among the half million Rohingya refugees who have come to Bangladesh, only a handful of them are Hindus. In their statements to many journalists and authorities, these people have described suffering horrors of slaughter and arson just like their Muslim neighbours. In particular, Rohingya refugees from the Hindu neighbourhood of Fakirabazar in Maungdaw, described how masked assailants clad in black had shot and stabbed people and dumped the bodies in holes in the ground. Over the last week and a half, however, some of the statements have begun to change. The Hindus, who are mostly gathered in a separate camp in Ukhiya, Cox’s Bazar, have started to blame “militant Muslims” for attacks on the Hindus. Last week, a group of Rohingya women told AFP they were Hindus, brought forcibly to the Kutupalong refugee camp in Bangladesh by a group of men and told to convert to Islam. A reporter from Indian news magazine India Today also found a woman from this group. She claimed to have been forced to perform namaz and wear a burqa. Reuters reports that in late August, a group of Hindu Rohingya women had told them it was Rakhine Buddhists who attacked them. But later on, three of them changed their statements to say the attackers were Rohingya Muslims, who brought them here and told them to blame the Buddhists. The Myanmar government on September 27 announced it had found a mass grave of Hindus near Fakirabazar, where at least 45 corpses of local Hindus were buried. A group of local and foreign journalists were flown to the spot by the Myanmar army and shown decomposing skeletal bodies laid out in rows on a field outside the village, as distraught relatives wailed nearby. The Myanmar Army blamed the Arakan Rohingya Salvation Army for this slaughter. Journalists have no access to Rakhine state outside of these official visits and cannot verify any of the official claims. 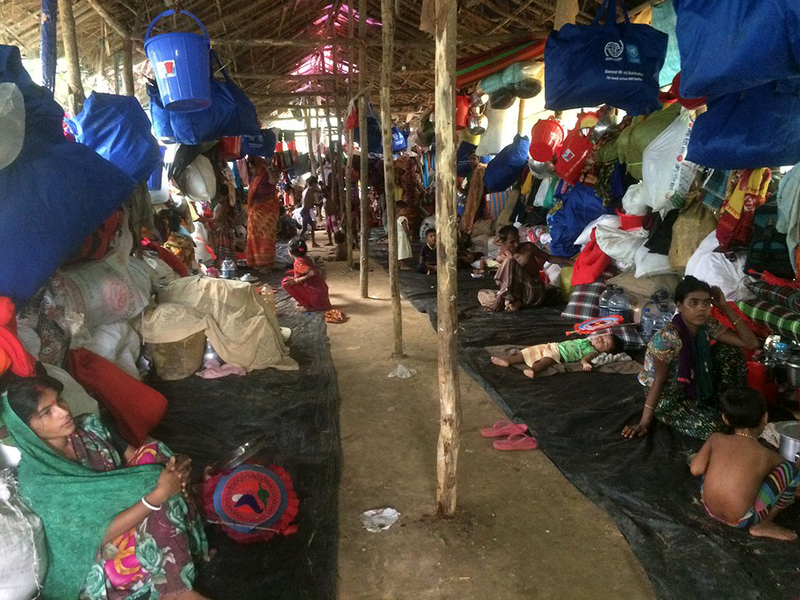 The same day, the Rakhine state government urged Hindu refugees who fled to Bangladesh to return, promising they will be cared for in Sittwe, according to reports in Myanmar media. This correspondent visited the camp of Rohingya Hindus in Ukhiya and found them sheltered in a chicken farm and makeshift houses beside a Hindu temple. The majority of them were from the villages of Chikanchhari, Fakirabazar and Balibazar in Maungdaw. The refugees said they had fled to save their lives from a group of people clad in black, whom they called “Kala Party” (Black Party). They believed these people were Rohingya Muslims. “Muslim terrorists have become desperate and started resenting the Hindus who have citizenship in Myanmar,” said Puja Mallik, a young Hindu woman whose husband was killed by the masked men clad in black on August 25. “The government is willing to give Muslims second class green citizenship card like ours, they do not want that. They demand the first class red citizenship cards that the Moghs [Rakhine] have,” she said. The Myanmar has three tiers of citizenship, and the green card is for “naturalised citizens,” essentially immigrants. A number of Hindu refugees while arriving in Bangladesh had told the media that they had lost their fathers and husbands at the hands of Myanmar army for their reluctance to partake in Muslim killing in Rakhine. 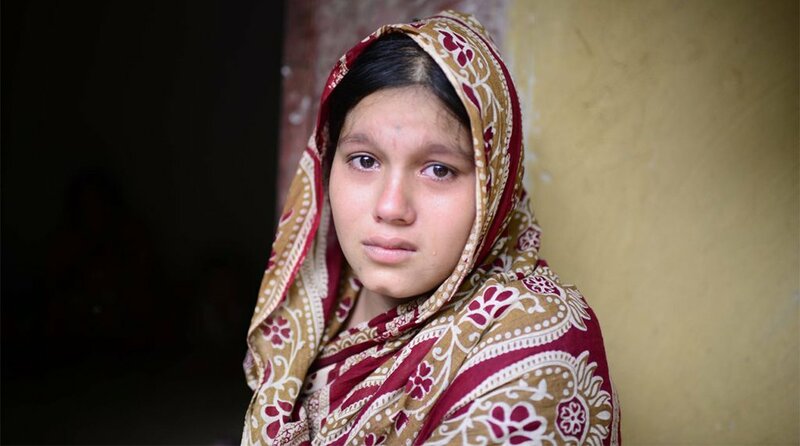 “Myanmar military and Buddhists killed my husband for not participating in killing and ousting Rohingya Muslims,” Anika Dhar, a pregnant Hindu housewife, had told the Daily New Age in late August. She also told a senior journalist with the Reuters Television that she had taken shelter in a Muslim village after her husband was killed and came to Bangladesh with them. Another woman, Padma Bala, who arrived in Bangladesh on August 30, told the same journalist: “The Moghs [Rakhine] are cutting us up.” The Reuters journalist is still in possession of the audio recording. Many Rohingya Hindus have said they received support from Muslim neighbours in escaping the army’s persecution. 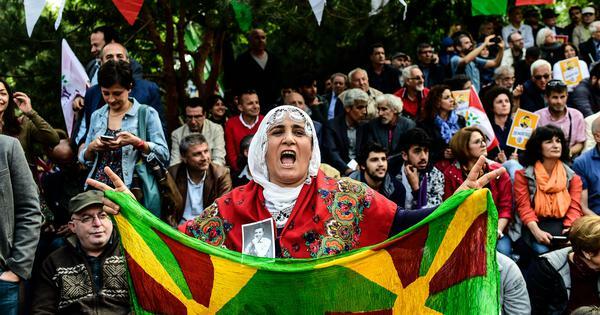 “The Kala Party with arms, bombs and lethal weapons confined us to our houses for five consecutive days. We managed to escape the confinement with a Muslim neighbour’s help,” Arimahan Rudra told the Dhaka Tribune. According to him there were 607 Hindus in the camp. What do Rohingya Muslims say? The green card citizenship makes the Hindus more privileged than the Muslims. They can study in colleges and universities, they can get jobs and medical treatment from government hospitals, they can travel freely, at least in theory, and they can vote. On the other hand, Rohingya Muslims demand full-fledged citizenship, acknowledgement as Rohingya, and removal of state-sponsored restrictions; demands that are unlikely to be ever fulfilled. Many Rohingya Muslims think this is Myanmar’s long-term plan, a classic divide and rule strategy, to create anger and hatred between the two religious groups among the Rohingya. “We, the Hindus and Muslims, have been living together more than a hundred years in our village. The differences in our religious faiths did not create any trouble,” said Hashu Mia, a Muslim refugee from Fakirabazar village, now in Kutupalong. “After coming to Bangladesh, I met one of my Hindu neighbours in Kutupalong bazar last week. He was the first to recognise me here. He embraced me tightly and we cried,” he said. However, some Rohingya Muslims say some members of the Hindu community had sided with the army and Rakhine militia since the violence erupted. “The Hindus are collaborating with the army and Moghs in Muslim killing. 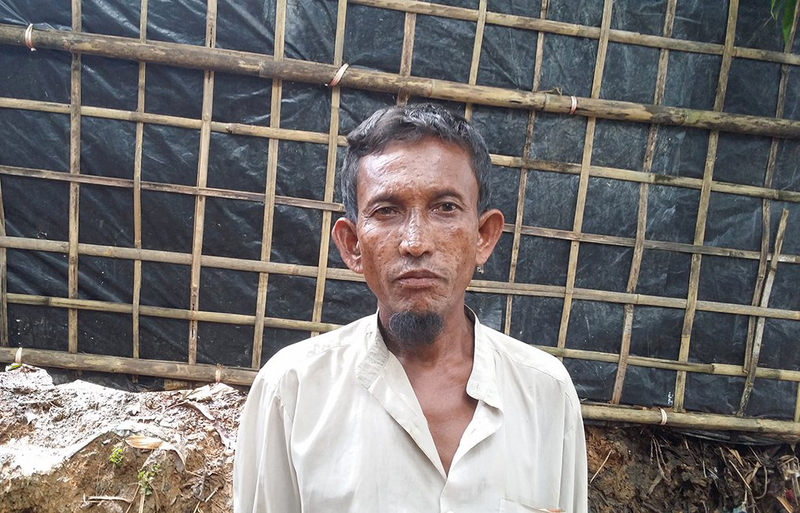 They helped them in looting and torching Muslim houses as they know the localities well,” said Abdus Salam, another Rohingya refugee from Fakirabazar. “The relation between Hindus and Muslims has significantly deteriorated over a month,” he told the Dhaka Tribune. The Rohingya insurgent group ARSA has strongly denounced the allegations brought by the Myanmar army. “ARSA categorically denies that any of its member of combatants perpetrated murder, sexual violence, or forcible recruitment in the village of Fakirabazar, Riktapur and Chikonchhari in Maungdaw on or about 25 August 2017,” the statement issued on Wednesday said. Who then, killed the Rohingya Hindus in the Rakhine state? 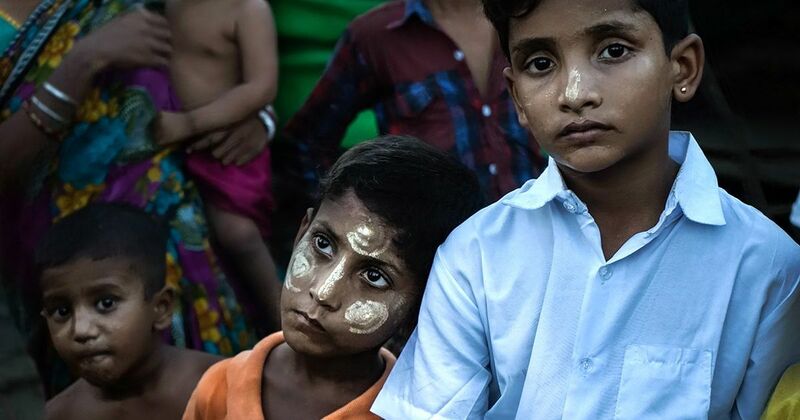 Rohingya refugees say that since ARSA’s attack, the Myanmar army started a deadly crackdown and killed hundreds of villagers regardless of their religious identities. “The army is playing a game. 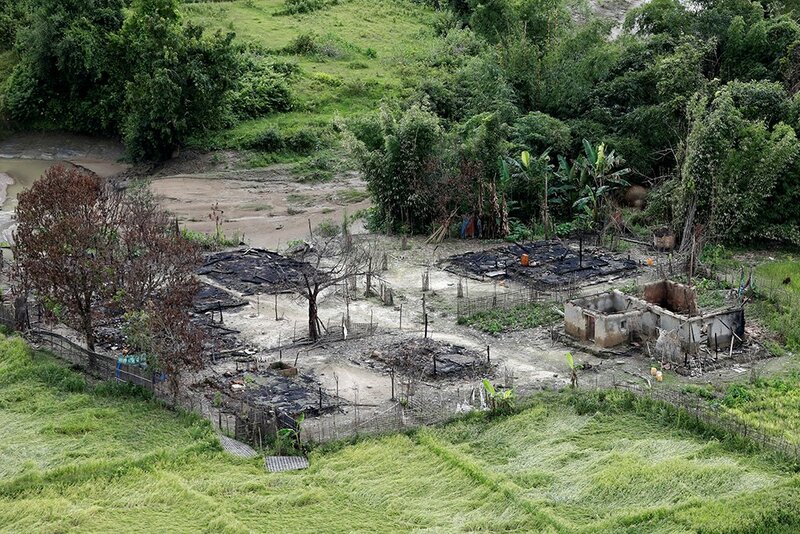 The Buddhists and government agents attacked the Hindu villages so that they can justify the military crackdown targeted on Muslim eradication,” Mohammad Ayes, who enrolled himself in ARSA in August, told the Dhaka Tribune. Mohammad Ayes, who joined ARSA a few days before the insurgent attacks, said the government used the conflict between the Hindus and Muslims, and take side of the Hindus as they were working for them. Ayes argued that since the ARSA combatants do not have any dress code, they do not need to hide their identity with black masks. “If Hindus were really attacked by the Muslims, would they not be afraid to escape with the Muslims to get shelter in Bangladesh?” he asked. Ayes alleged that since the Rohingya Hindus already had Myanmar citizenship and the government had urged them to return, they were blaming Muslims to express their loyalty towards the government. Another ARSA member who claimed to be a Jimmadar (commander) told the Dhaka Tribune through a messaging app that the corpses the Myanmar army found could be any Rohingya. “Now they are showing those bodies and forcing the Hindu people to cry in front of the bodies and say that those corpses were their relatives,” he said. “UN bodies and others are trying to enter Rakhine state to investigate what atrocities were done by the military. So they buried the bodies of Rohingya. If any investigation is carried out the military will be accused for sure. So to destroy the evidence they are posing Muslim bodies as Hindu bodies,” the militant said. Asked why they had come to Bangladesh instead of moving further inland, Bhuban Pal, a refugee in the Hindu camp, said that they perceived all Muslims to be against them and had moved to Bangladesh because it was closer. “One of our community leaders, Nirmal Dhar, told us we would be safe here and he would arrange our return soon,” he added. Several refugees, when asked whether they had heard about Rakhine state government’s invitation to the Hindus to return and stay in Sittwe, said they did not feel safe in Myanmar and wanted to go to India. “I would feel at peace in India. In Myanmar we will never feel safe,” one woman told the Dhaka Tribune. India issued a prompt response when Myanmar army announced its finding of mass graves, calling on the country’s government to bring to justice perpetrators of the crime. “We have conveyed our concerns about the affected people to Myanmar. The affected families should be given appropriate compensation,” Raveesh Kumar, the Indian External affairs Ministry spokesperson, told the press. This article first appeared on Dhaka Tribune.